Creating and being the change does not have to an act as big as the Empire State Building. You can inspire change simply by coming alive yourself. Now to speak literally, exploring the outdoors is a great way to protect our natural world. It allows you to connect and experience the world in a way, which will encourage you to continue to protect it. Plus, I find being outdoors always helps me to get creative and inspired, in what ever shape or form! So, with that, Happy Long Weekend Everybody! "Twenty years from now you will be more disappointed by the things that you didn't do than by the ones you did so, so throw off your bowlines, sail away from safe harbour, catch the trade winds in your sails. 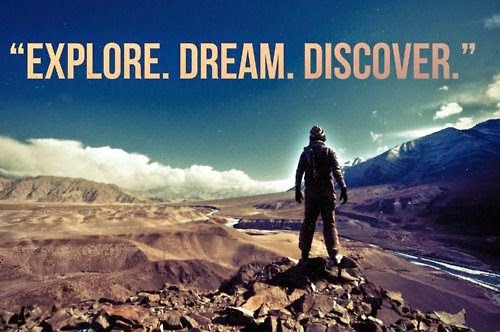 Explore, Dream, Discover."